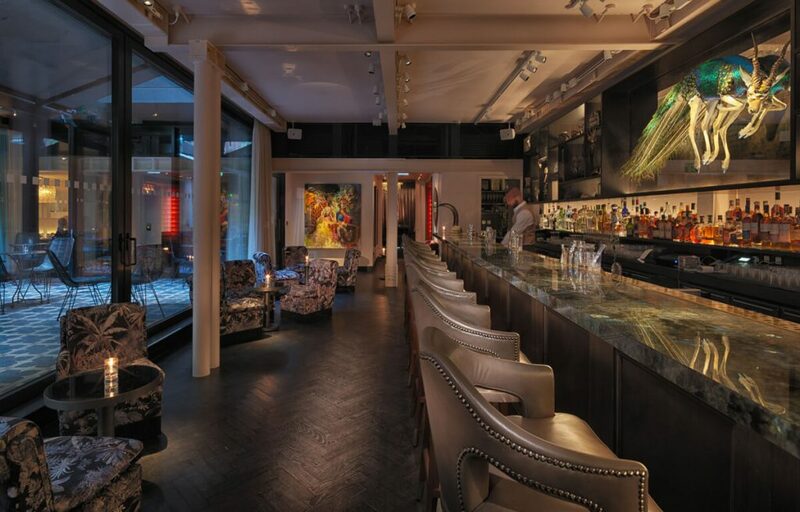 The Mandrake Hotel is a new addition to the London hotel scene. In the heart of London’s West End it will have you captivated from the start to the finish of your visit with its opulent and lavish décor. A hotel design featuring 30 luxurious rooms, that is unparalleled in London’s hospitality scene. Vibrant and eclectic interiors mingle with tastefully curated artworks that make for an interesting and warming space for the visitor. The name Mandrake comes from a plant boasting great medicinal qualities. 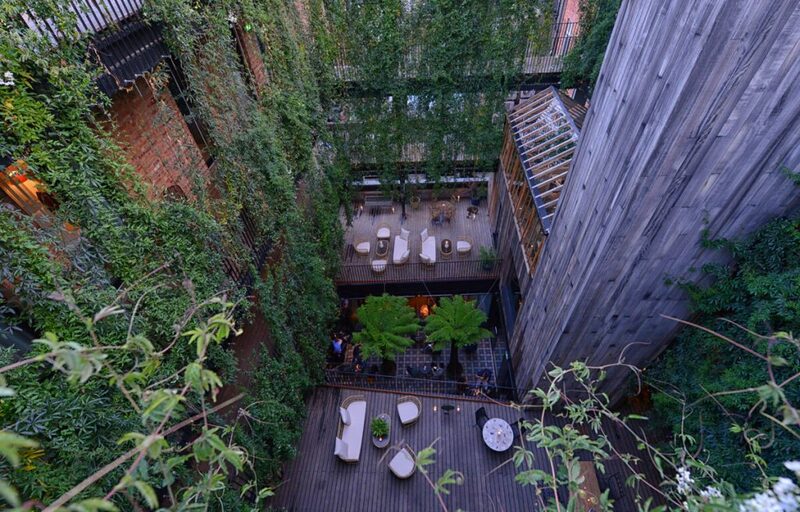 No doubt the concept behind the hotel seeks to offer relaxation and health benefits for all that enjoy a night behind its walls. They’re impressive walls too, with the hotel located in an beautiful architectural gem of a building on Newman Street in Fitzrovia. 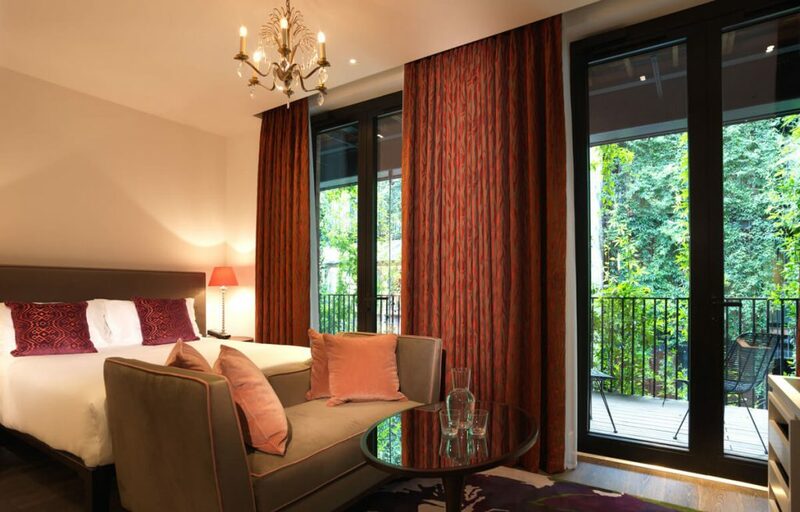 All bedrooms and suites feature, true to form, impressive interiors and luxury organic bedding. The suites in particular are lavish with roll top baths and Grown Alchemist bathroom amenities, making sure you won’t be wishing to leave in a hurry. The sign of an excellent hotel are those that don’t just provide excellent accommodation, but also ways of entertaining their guests. The Mandrake hotel doesn’t disappoint in this department either. The hotel has a Soul Retrieval itinerary. Run by Slavomir Latko the Mandrake’s qualified massage and sound therapist. With treatments ranging from £35 to £475, there’s something for all couple’s budgets. Why not try the Full Moon Gong Bath. Designed to relax, rejuvenate and take you through inner exploration through 90 minutes. The Mandrake also features an ‘Artist in Residence’ program, ensuring that art is at the forefront of the hotel’s branding. Featuring emerging and established artists from ballet dancers, to sculptors and tattoo artists – all genres are catered for. Finally the dining scene at the Mandrake hotel has also not gone amiss. Serge et le Phoque, a Michelin starred Hong Kong restaurant brings a radical innovation to London. Crafting together French techniques and of course the very finest ingredients, Serge et le Phoque is an experience that one must not miss. Certainly catering for couples searching for a romantic dining opportunity. For those that wish to entertain there is also a 28 seating dining room with walls adorned in deep red lacquer. Creating a dramatic backdrop to host your guests. 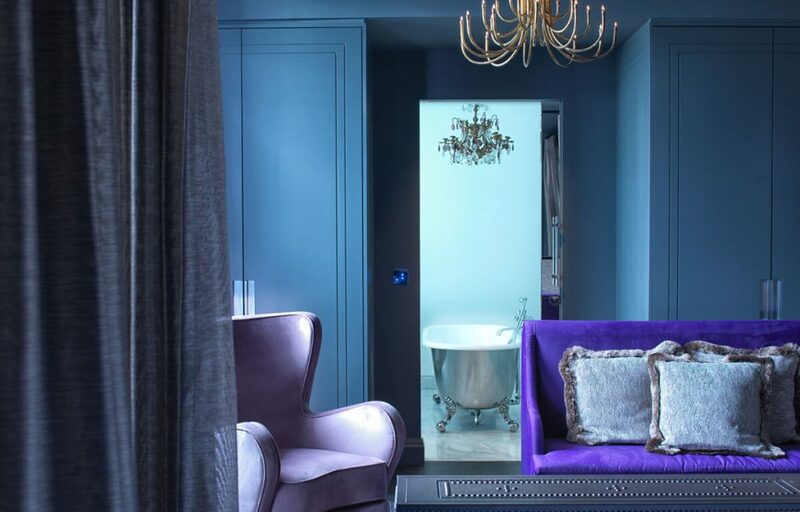 So if you’re in the hunt for a romantic, luxury hotel on your next romantic city break in London, then The Mandrake is well worth your attention. Although you might have a difficult job taking your eyes off the decor and onto your partner.